We may take our dog's bowl(s) for granted. In fact, when we first get a pet, we probably don't put much thought into the type of bowl we use. It's usually only after some time that we may come to the realization that the bowls we first chose aren't working for our pet anymore. In this post, we are going to take a tour around the most common pet food bowls to help you make an educated decision on the best dog bowls for your canine companion. Plus, we'll take a look at our top five picks! There are many types of dog bowls out there to choose from, these include: plastic, ceramic, stainless steel, elevated, travel, automatic, slow feed and silicone dog bowls. Let's explore these further. These type of bowls can be found at most general and pet retailers. They come in a variety of shapes, sizes, colors and styles. Although, they are easy to find, are usually inexpensive, and relatively durable if dropped, plastic bowls are not always the best choice for some dogs. This material can hold bacteria, especially if it were to become chewed or scratched. Plus, some dogs can develop allergies to plastic, which may result in a rash around the mouth and on the muzzle. Both ceramic and stoneware dog bowls can be very stylish. Some are hand painted and made by artisans, while others are mass-produced. The great thing about this style of dog bowl is the fact that they are glazed to protect the design. This makes them easy to clean, especially if they are dishwasher safe. However, ceramic and stoneware dog bowls are not as durable as other materials. These bowls can become chipped or even develop fine cracks, which may harbor bacteria. In addition, if dropped these bowls tend to break. 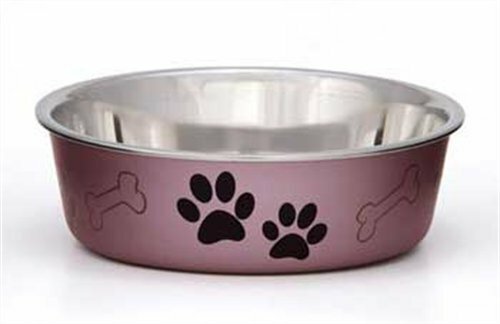 This type of dog bowl is extremely durable and dishwasher-safe. Some are designed with a rubber rim around the bottom to help prevent it from slipping. These dog bowls are inexpensive and readily available but do have a tendency to rust or develop stains if left outside. Additionally, if your dog is a chewer, stainless steel bowls could damage its teeth due to the toughness of the material. 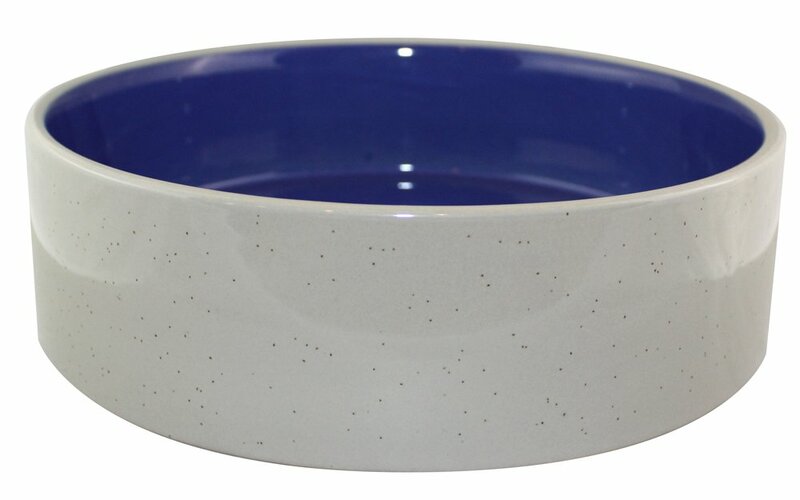 This style of dog bowl is perfect for giant breeds that may have difficulty eating from a traditional on-floor dish. The elevated dog bowl is usually found in pairs (one for food and one for water) and is placed in a stand made from wood, metal or plastic. The bowls themselves can be stainless steel or ceramic, depending on the price-point. Some of these models even come with a food storage compartment to keep your pet's stuff readily available. Every pet parent that travels with their dog should have a set of travel dog bowls. These are designed to collapse after use and are generally made from a plastic or nylon. The convenience and unique design of these bowls make them a must-have for any pet-traveller. As the name implies, the automatic dog bowl will feed your pet, either by gravity (the kibble refills each time your dog eats from the bowl) or is timed to release the food at your discretion. These units are often made of plastic with a "jug-like" storage that fits into the dish below. This design can also be used for water. 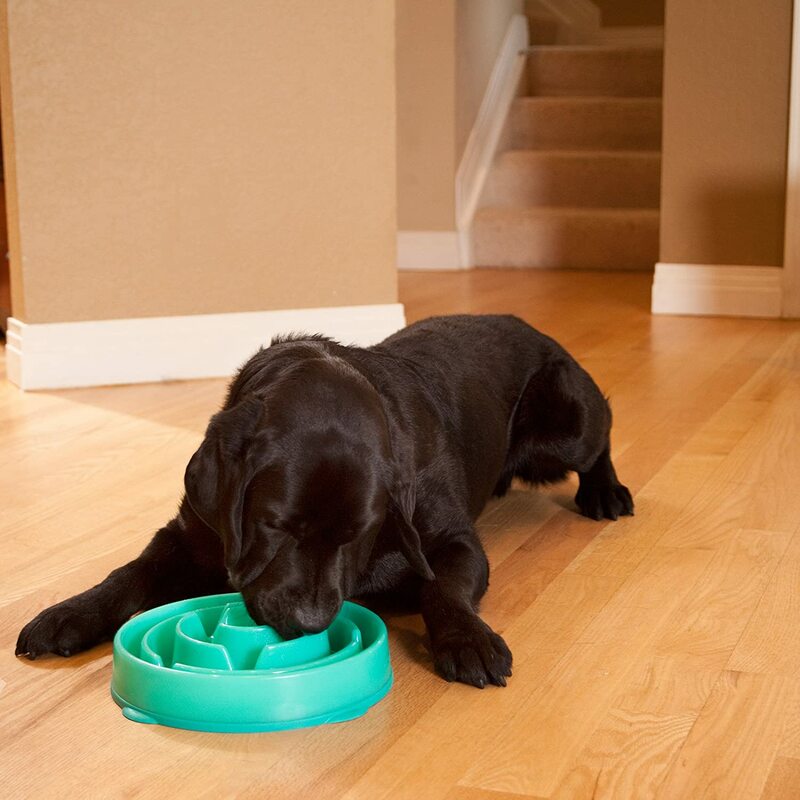 If your dog gobbles his food, the slow feed dog bowl is what you need. 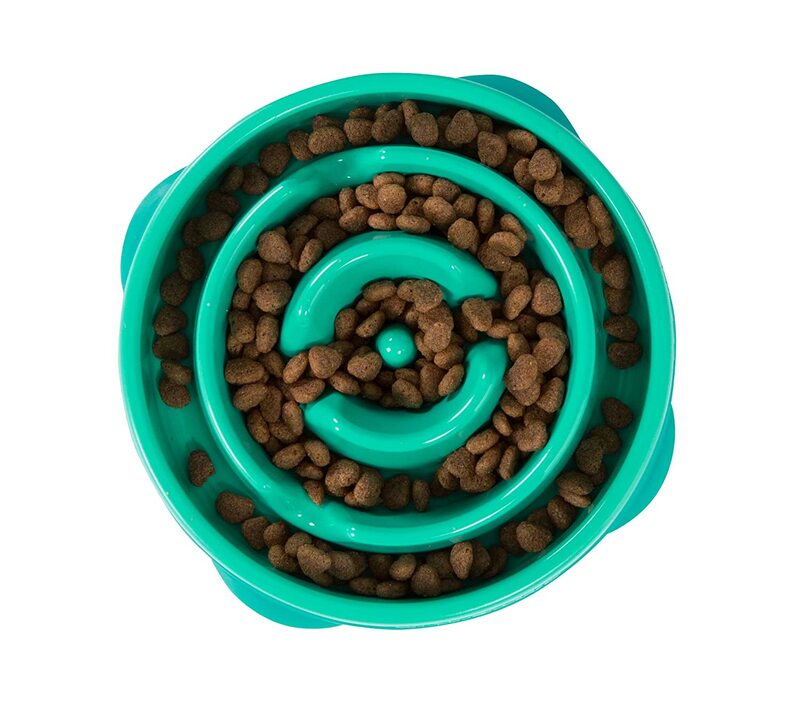 This bowl is designed with structures or ridges that will prevent your pooch from gulping down his dry kibble. The slow feed dog bowl is highly recommended for those breeds that are more prone to bloat (the stomach flips over on itself after a large meal and excessive exercise). Typically, these bowls are made from plastic, but the stainless steel ones are out there. 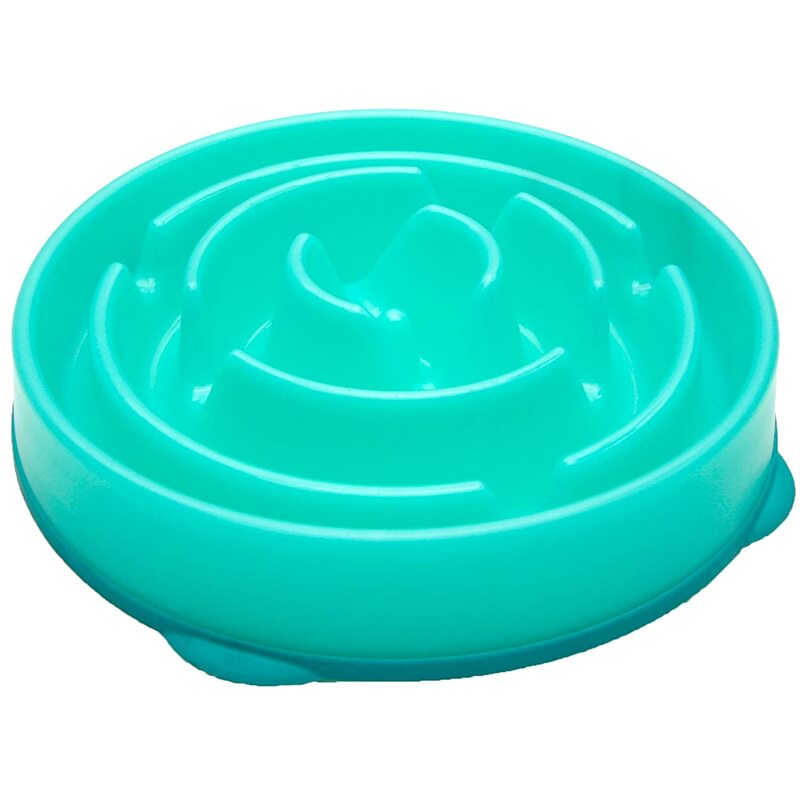 This type of dog bowl is designed to be used for traveling as well. The soft silicone opens up in an accordion-style fashion and can be adjusted for height. Once your dog is finished eating or drinking, the bowls can be neatly flattened and tucked away. The one con of this product is that if a dog chews on it, it may become damaged. Now that we know what types of dog bowls are out there, let's explore the top five best dog bowls that made our list. Made from food-safe ABS plastic, the Outward Hound Slow Feed Dish is perfect for those kibble-gulpers. This is because the addition of the circular structures will make your dog slow down and work for his kibble. This unit holds up to 4 cups of food and comes in three different colors. 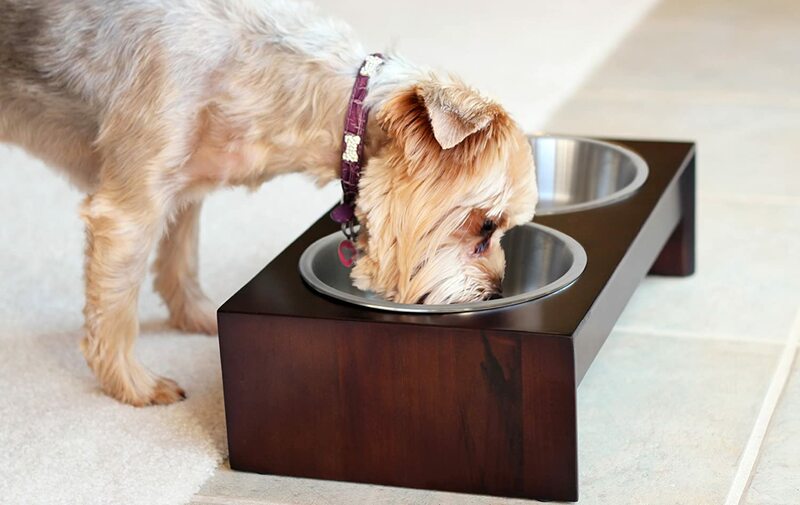 The stylish design of these elevated dog bowls is only one of the fantastic features it offers. The stand itself is built from ethically sourced New Zealand pine that is finished with three coats of water resistant sealant. The stainless steel, food-grade bowls fit snugly into the unit with the use of rubber inserts to prevent them from tipping and spilling. In addition, it comes in two heights (4 inches and 10 inches) to suit all breeds of dogs (or cats). 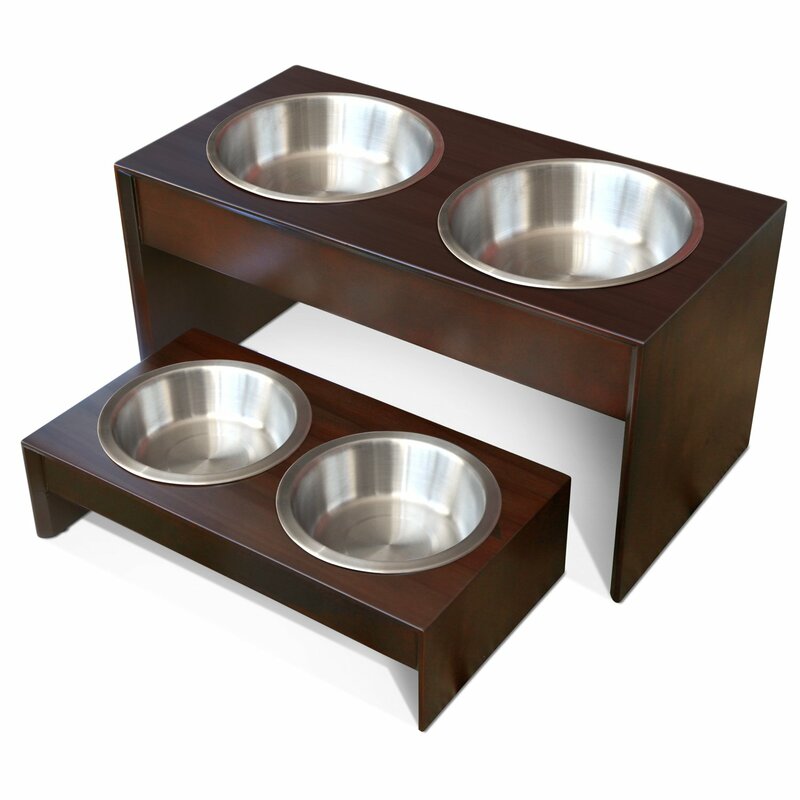 This sleek unit will not only aid in your pet's digestion, but it will look great in any home. The side-by-side design of the bowls may cross food over into water and visa-versa. Portable and convenient are just two of the awesome qualities of the Comsun Collapsible dog bowls. Each bowl holds up to 12 ounces of fluid or 1.5 cups of dry kibble. These eco-friendly dishes are also made with high quality flexible food-grade silicone and are 100% lead­-free, BPA-­free, and are FDA approved - so you know your pet will be safe. 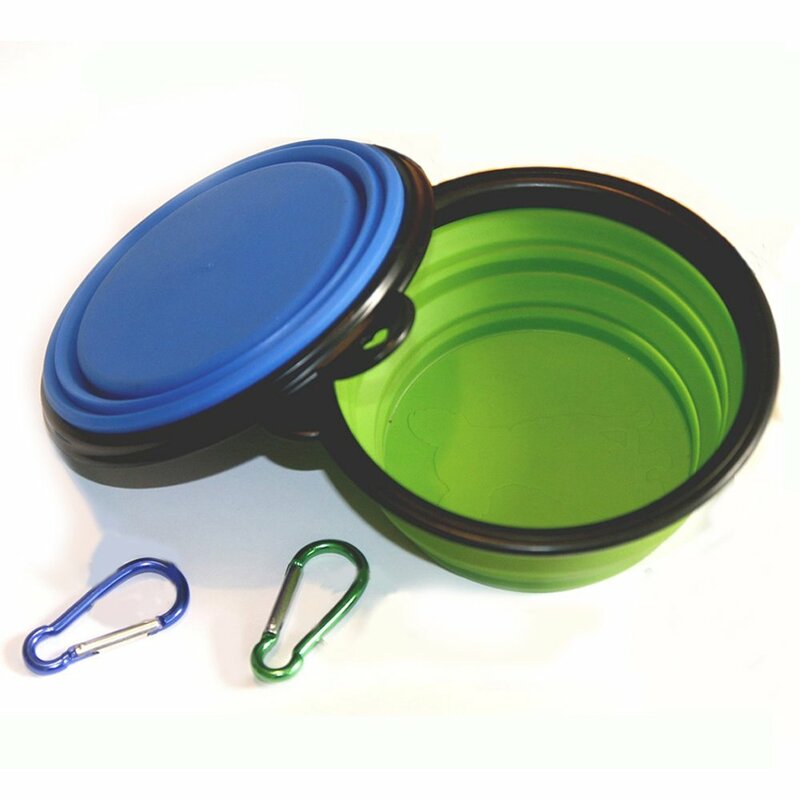 These non-slip bowls are easy to compact and will save you space in a tight backpack or amongst your pet's other belongings. Perfect for hiking, camping or long vehicle travel. Vet-recommended and stylish to boot, what more could you ask for in a stainless steel dog bowl? The Loving Pets Bella Bowls are bacteria resistant on the inside and metallic designed finished on the outside for a fun-looking and practical way to feed your dog. Each bowl comes with a soy-based rubber base to help keep it in place and is easily removed so you can place the bowl into the dishwasher. Plus, this dog bowl comes in three sizes and five different colors to match any decor. We've chosen the Ethical Stoneware Dog Dish for our number one spot. This dog dish is simple in its design, yet sturdy enough to keep it in place. The high gloss finish makes it super easy to clean and will prevent the growth of bacteria. 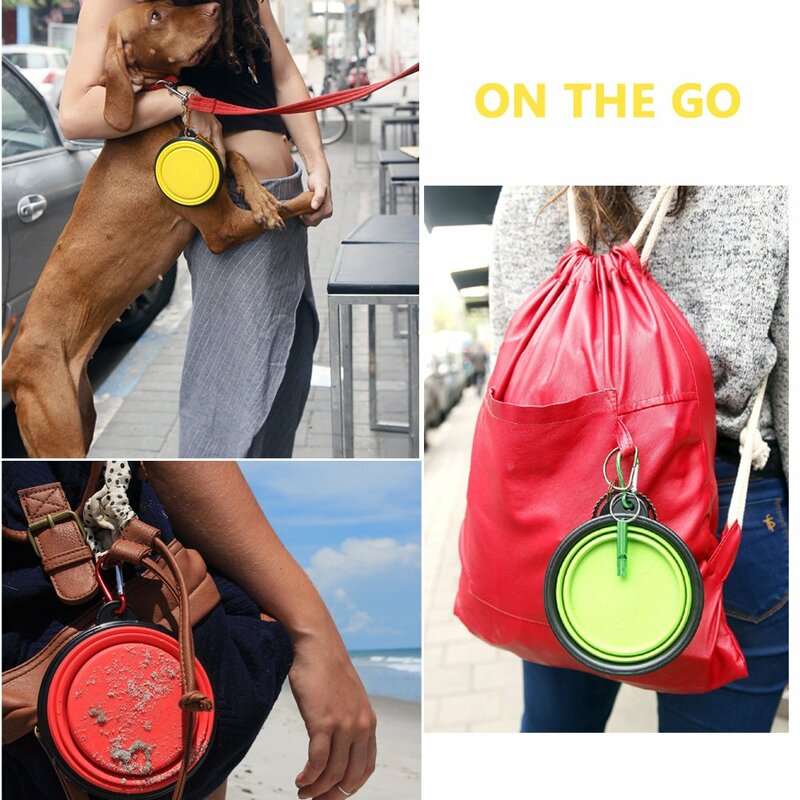 It also comes in three convenient sizes to fit all canine companions. Who knew there was so much to "simple" dog bowls? Before you drop your dog's kibble into just any ole bowl, take some time to see which type of dog bowl would best suit his/her needs. Having the right dish can make all the difference in the way your dog eats. And better eating mean overall health and happiness.